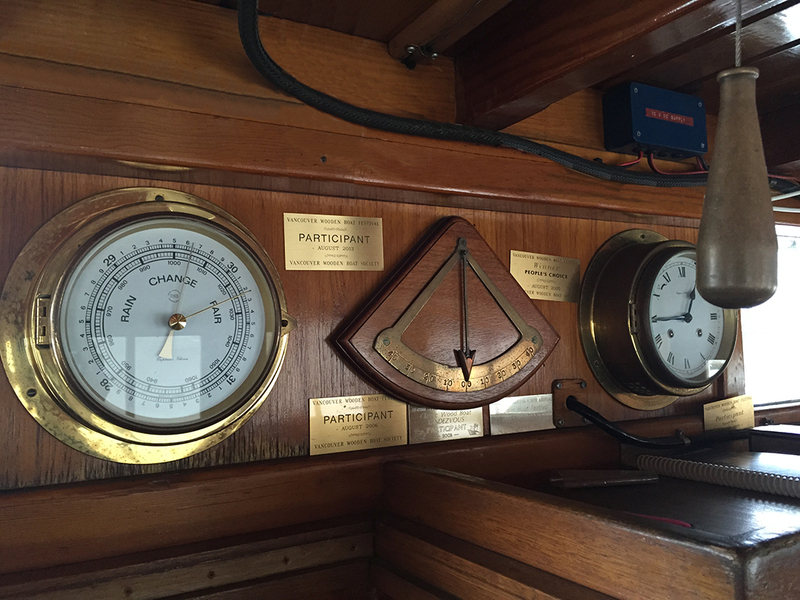 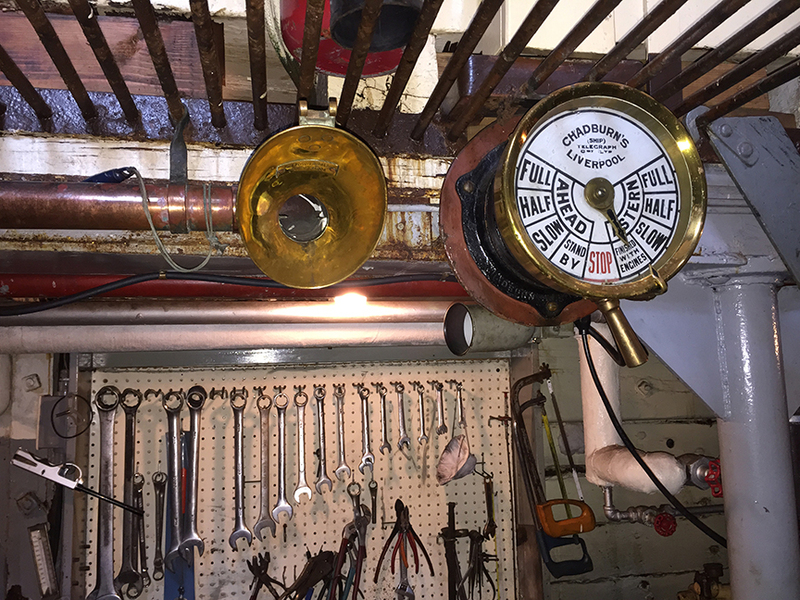 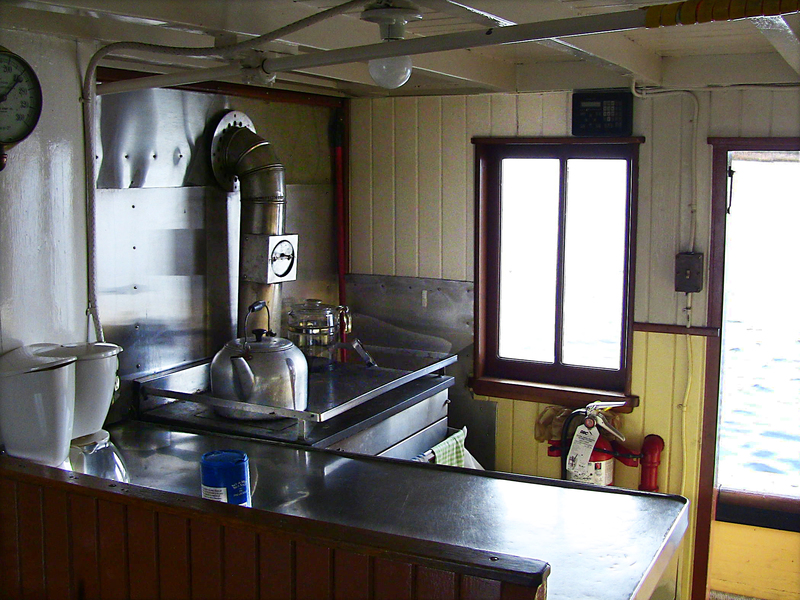 As a working tug, the Master had quarters for up to nine crew members however, 7 crew was the norm. 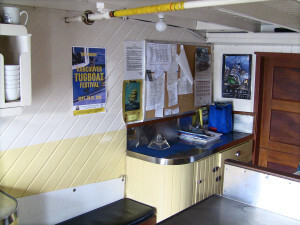 Quarters were spartan at best but suitable for a working tug. 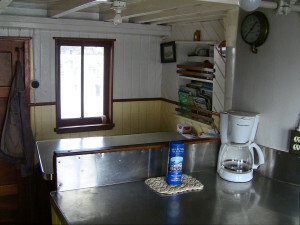 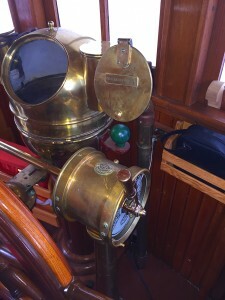 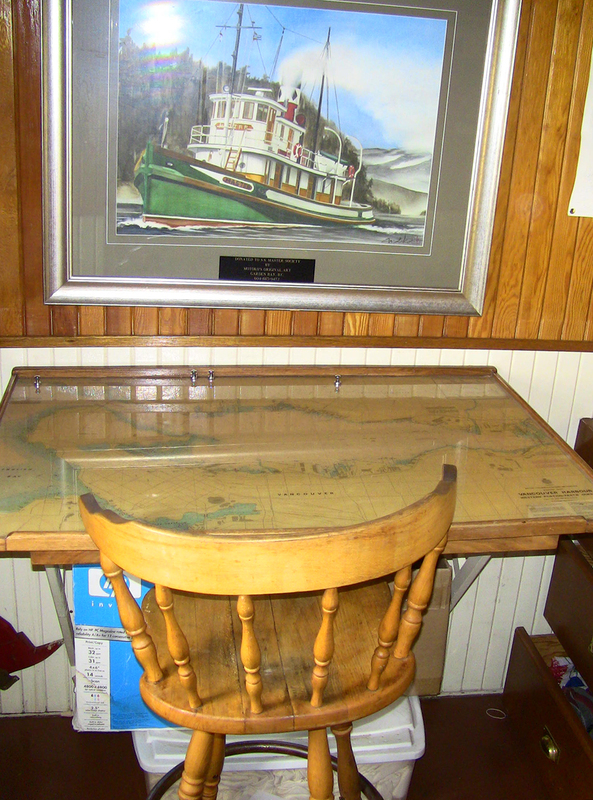 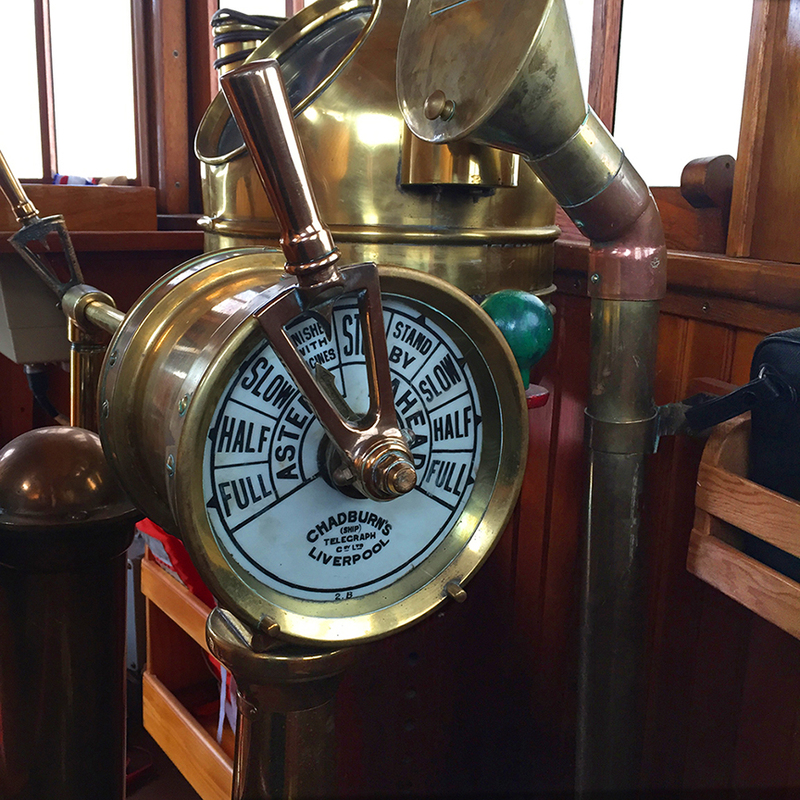 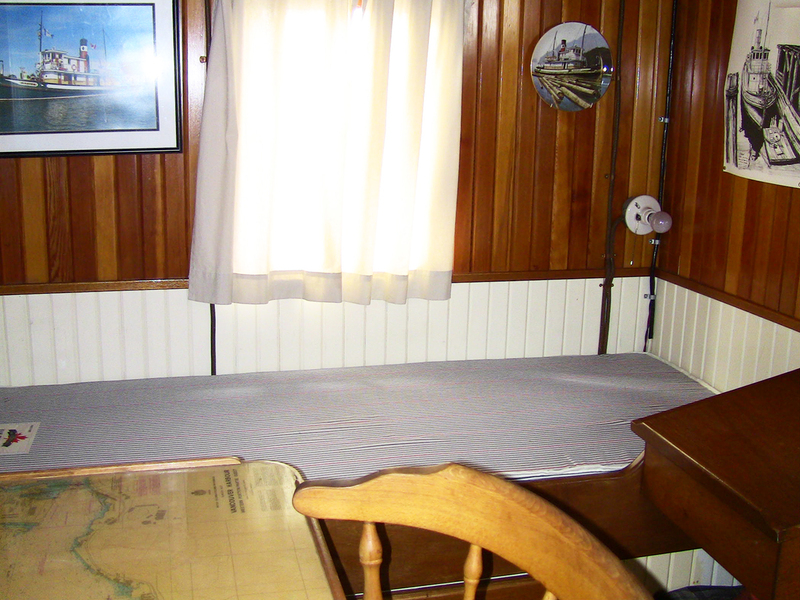 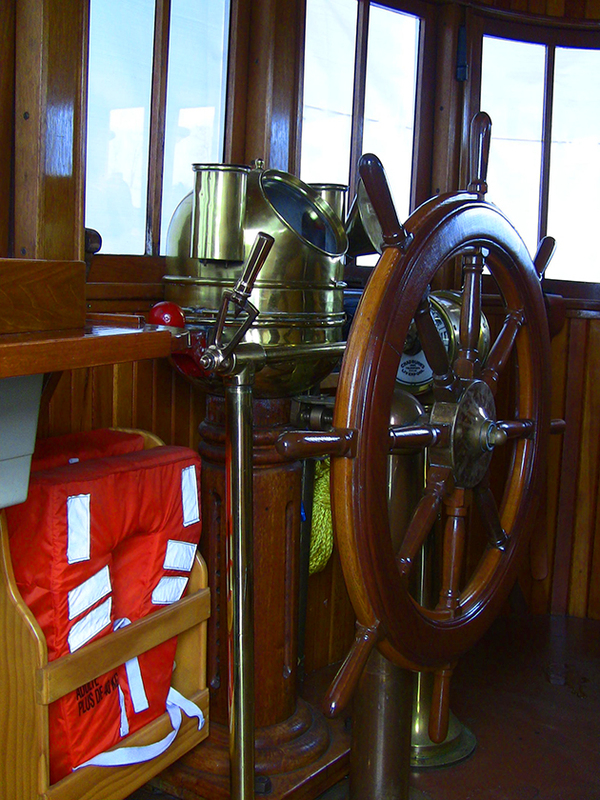 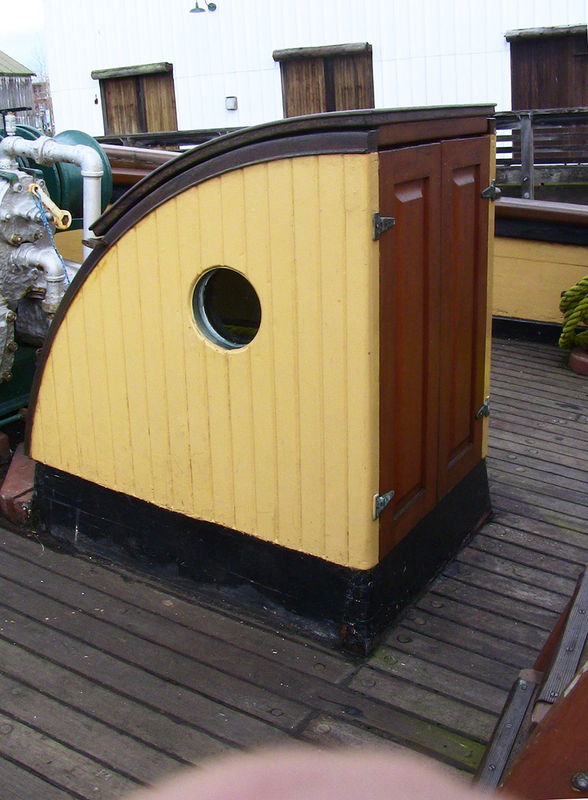 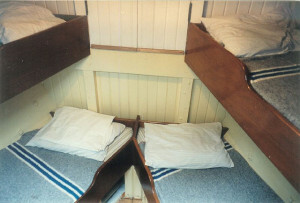 The Captain’s and Mate’s quarters are located on the upper deck just aft of the Wheel House. The Chief Engineer’s cabin is on the Port side of the main deck, just forward of the Galley, Two crew share the bunks in the Starboard side cabin, also located on the main deck, forward of the Galley. 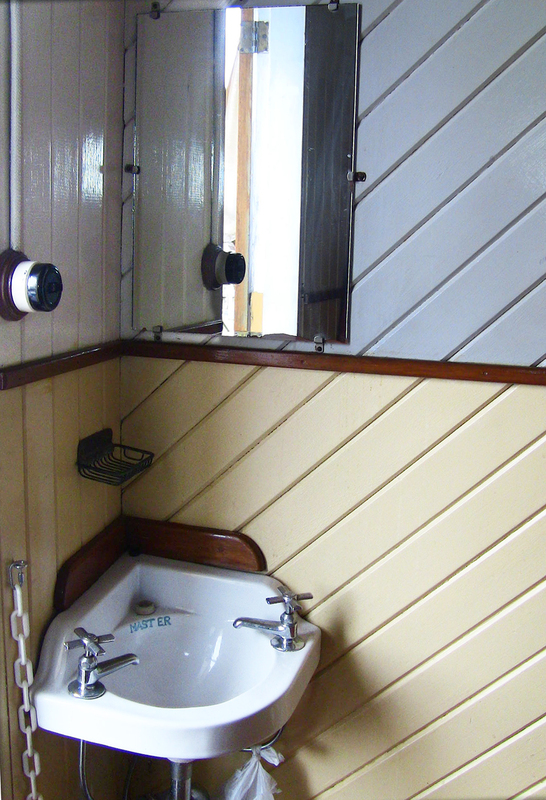 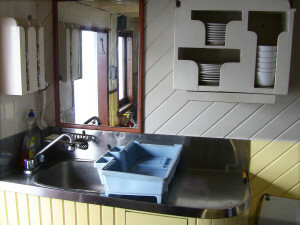 All upper deck and main deck cabins are equipped with a sink and hot and cold water. 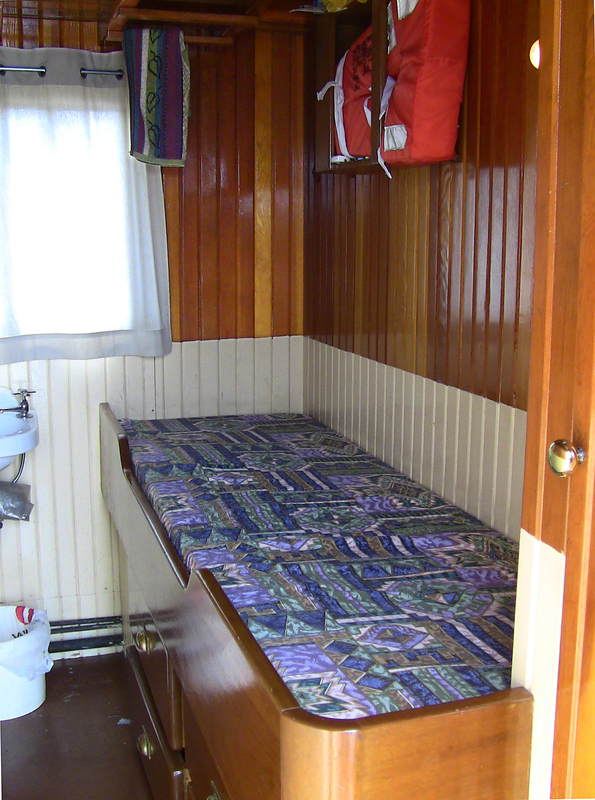 Lastly, four crew share the bunks in the fo’c’sle, located in the bow, below the main deck.